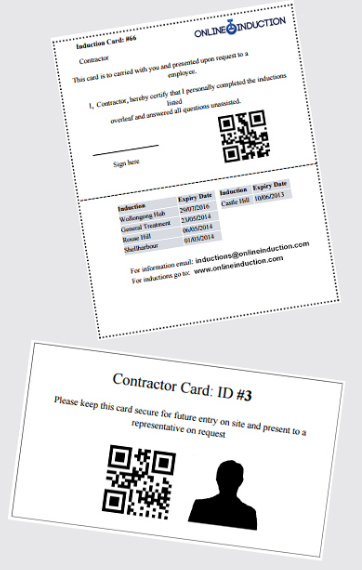 A contractor induction is a multi step process involving collecting required information from your contractors to ensure compliance for working on site, presenting important safety, site speecific and workplace introduction information to them, assessing competency and getting acknowledgement on important check lists, forms, policies and procedures with an induction card issued at the end. A contractor induction all starts with what you need to collect from your contractors and the companies they work for. Insurances, licenses, certifications, evidence of training, right to work in the country, emergency contact details, payment details - everything you need to capture from them before they start working on site and performing their job, task or role. Schedule automatic reminders for when these materials expire so that the contractors are prompted to supply these materials to you on an ongoing basis as the expiry dates near. In a contractor induction you want to present a series of topics that cover safety on site, an introduction to the workplace, import policies and procedures and site specific materials. Topics on quality, environment, Contractor Obligations, Duty of Care, Electrical Safety, Hazardous Chemicals, Alcohol and Drugs, Permit to Work, PPE and Safety Commitment are just a few of the important workplace topics to discuss in your contractor induction. One of the most important elements of a contractor induction is the contractor safety induction. This is where you present important safety policies and procedures, site hazards to be aware of, how to report an incident, a new hazard or safety observation, local emergency services contacts and other important safety information that is needed for a contractor to work on site. See the top slides in a safety induction presentation from our community. Ensure that all suppliers / contractors undertaking physical work know your safety requirements and are inducted and prequalified. Ensure that suppliers / contractors are safe while working on sites and that your customers, visitors and staff are also kept safe. 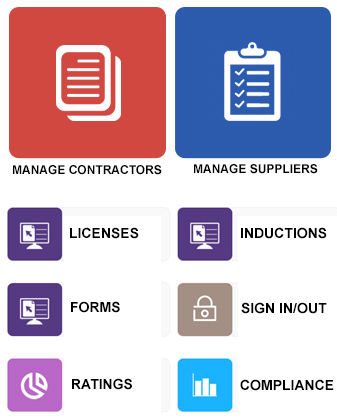 Provide one standardised induction to enable all suppliers and contractors to access all sites rather than have to complete many brand specific inductions.